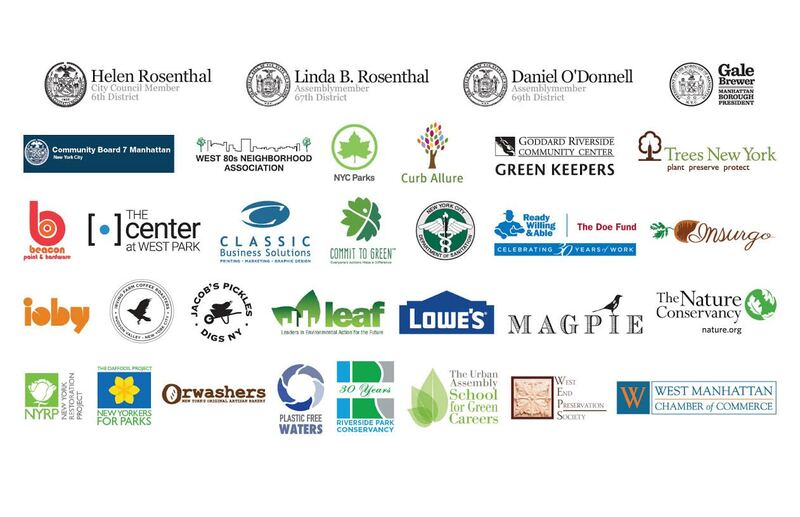 We are a coalition of NYC volunteers, elected officials, community leaders, local businesses, government agencies, neighbors, schools, academia, and non-profits who have joined to bring awareness to the importance of our NYC street trees, caring for them, removing litter and reducing single-use throwaway items (such as plastic bags and plastic straws), educating about the health and environmental hazards of dog waste. We are a multi-generational group, from school children to seniors, who seek to improve the aesthetics and quality of life in our NYC neighborhoods. Originally founded in the West 80s of the Upper West Side of Manhattan, we have now attracted urban tree lovers from throughout the city, and we hope “Love Your Street Tree Day” events can be a model for the rest of the city. Why Love Your Street Tree? There are many neglected trees and tree beds in neighborhoods throughout NYC. The accumulation of garbage, dog waste, cigarettes, and litter that end up staying in the wells are not only an eye-sore, but are also unhealthy for the trees and to humans. Additionally, NYC has been trying to eradicate the rats population, and all the dog waste and garbage have contributed to our growing rat problem. Properly maintained tree beds with permeable soil also serve an important environmental purpose in catching rain/ storm water and preventing more sewage waste from being diverted into the Hudson River each time it rains. Finally, our project will hopefully help to protect the young "Million Trees" that have been newly planted by the NYC Parks Department and NY Restoration Project, and contribute to their higher survival rates. We also want to nurture the mature trees and ensure their long-term survival as well. Subscribe to our email list to receive emails with news and upcoming events.